By the numbers: Extrajudicial killings, human rights violations, impunity, corruption, the squandering of our economic dynamism. For the aggrandizement of one family. Denying Martial Law is a denial of the pain and suffering of victims and their families. Blood money will not assuage that, though it will help the victims. It is a recognition of their suffering, of all they went through, small though it may be. Each check given, each peso dispensed, is a repudiation of Martial Law. It is an acknowledgement of Never Again. When contemplating Martial Law we almost always begin with the numbers. They are a good place to begin, but also perhaps not the best place to begin. They are staggering, almost unfathomably so. Looking at them, evaluating them in a vacuum or without contextualizing narratives, almost leaves a person cold to what they represent. The economic costs, on a very high-level, represent almost overwhelming personal loss and ground-level tragedies. The Marcos regime, by the numbers, by the stories and historical context, stands apart in the variety of its depredations: From extra-judicial killings, to corruption, to government-sanctioned policies that turned Filipinos into commodities, to the sheer breadth of institutional and social deconstruction, to the tallies of impunity. An entire social, political, historical, cultural , and political order was up-ended, deconstructed, and re-established with one overriding consideration in mind: The aggrandizement of a family. The Marcos regime, by the numbers, by the stories and historical context, stands apart in the variety of its depredations: From extra-judicial killings, to corruption, to government-sanctioned policies that turned Filipinos into commodities, to the sheer breadth of institutional and social deconstruction, to the tallies of impunity. This was not some simplistic dichotomy of bayan o sarili. No. 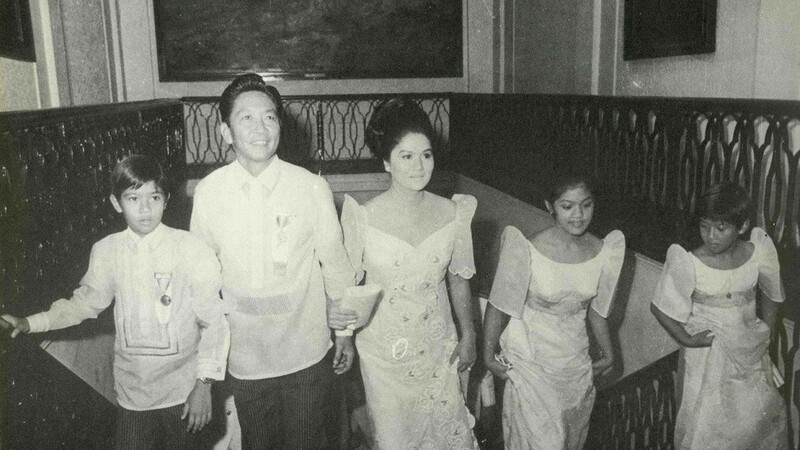 The Marcos Era was of a nation subverted to support the whims and wishes of one family. It was the Marcos family appropriating Philippine nationhood. All others, outside of a select coterie of hangers-on, were viewed as vassals. Those who disagreed were treated as refuse; discarded by the sides of roads as grisly warnings against countervailing opinion and perceived "disorder." — 77% of the victims, 2,520, were purposefully "salvaged;" left by roadsides, bloodied, beaten, dismembered, mutilated. They were savage reminders from a repressive regime to anyone who dared speak up or step out of line: This will be you. Fear was Marcos’s currency. The bodies were the tallies. Behind these numbers were state-sanctioned and created ‘task forces" led by men such as General Fabian Ver or General Fidel Ramos  which carried out the policies of terror and state terrorism embraced by Ferdinand Marcos. These roving sanctioned squads (death, torture, and kidnap squads if you will) eventually degenerated from discipline and order maintaining police and military groups into terror wielding mechanisms for oppression and control. The centralization of power was a critical feature during Martial Law. Undergirding that centralization were carefully cultivated tools wielded by men loyal to Marcos. These weapons were utilized to ensure power was retained by Marcos and his loyalists: Power and control at the expense of civil society and its attendant rights, under the guise of "discipline" and order . History has the ability to give us insight into the present. What those numbers also represent was an initial willingness on the part of civil society to surrender their hard-won democratic rights for the nominal appearance of "order" and a suspect assertion of broader social "discipline." We should not overlook that, on the whole, civil society, for a variety of reasons, was relieved when Martial Law was declared. We were complicit, at least initially, in the establishment of Martial Law and willingly allowed Marcos to begin rapidly consolidating and centralizing power. A Faustian bargain if there ever was one, as Alfred McCoy called the early collaboration of civil society with Marcos’s Martial Law. Perhaps that complicity somehow still weighs on our collective conscience. Perhaps that guilt still, subconsciously, informs our collective denialism and forgetfulness. Many of those victims, the 35,000 tortured, the 70,000 imprisoned, have only recently been awarded financial compensation; despite a more than one legal case being awarded in their favor. Many of those victims, the 35,000 tortured, the 70,000 imprisoned, have only recently been awarded financial compensation; despite a more than one legal case being awarded in their favor . This dereliction of duty on the part of the Philippine government in the intervening years is another collective stain on our conscience. While they have received compensation, they, and we, are still awaiting closure . We will not find closure and reconciliation without acceptance and understanding, without a reckoning. For years, at the behest of men like Ramos, we were denied that reckoning, that truth. Denying Martial Law is a denial of the pain and suffering of victims and their families. Blood money will not assuage that, though it will help the victims. It is a recognition of their suffering, of all they went through, small though it may be. Each check given, each peso dispensed, is a repudiation of Martial Law. It is an acknowledgement of Never Again. There was a darkness that overshadowed Martial Law under the Marcos regime. It is a darkness that continues to haunt us today . One day, we will need to reconcile with the Marcos family and Martial Law. But, reconciliation requires atonement. It demands recognition of faults, flaws, and failings from all sides, as well as an apology and acceptance of what was taken, what we lost. That is the only way to banish the darkness. One day, we will need to reconcile with the Marcos family and Martial Law. But, reconciliation requires atonement. It demands recognition of faults, flaws, and failings from all sides, as well as an apology and acceptance of what was taken, what we lost. To the count above, we must also include the scope of loss in Mindanao. We often remember the sheer savagery, the betrayal, of the Jabidah Massacre. However, we do not remember the overwhelming cost that came after Jabidah, when Marcos began to prosecute a campaign of suppression in Mindanao reminiscent of the United State massacres a half century earlier. The count includes 60,000-80,000 Filipinos dead within a seven year period (1965-1976), hundreds of thousands displaced, and billions of dollars in estimated economic loss . Those are staggering numbers by any measure. When they are combined with the traditionally counted tally of human rights violations it speaks to an almost overwhelmingly destructive period in our history. 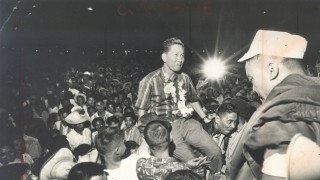 Much like the aftermath of the Spanish-American War or the Japanese Occupation, the end of the Marcos era saw the loss of a generation of leaders and activists. We are still paying for those losses today. Estimates are the Marcoses alone plundered around ten billion dollars, this does not include assets or companies confiscated and entrusted to others. Of that, the Philippine government has identified and reclaimed approximately four billion dollars worth of assets and bank accounts. But, again, more is still being discovered. Far from a Golden Age, a number of economists have aptly demonstrated that the Marcos regime witnessed the dissolution of the Philippines as an economic power in the region. Growth was very shallow, in fact any growth was marked by further impoverishment during the Marcos Era. The common riposte to discussing Marcos plunder and wealth is either to deny it ever occurred or imply the plunder is excusable because of the accomplishments of Marcos as president . With regards to the accumulation of vast quantities of wealth, it is illuminating to contextualize what was happening in the Philippine economy on a macro-level during his reign. Far from a Golden Age, a number of economists have aptly demonstrated that the Marcos regime witnessed the dissolution of the Philippines as an economic power in the region. Growth was very shallow, in fact any growth was marked by further impoverishment during the Marcos Era. For example, in 1962 the GDP per capita was $495, by 1986 it was $540; a minimal uptick, almost statistically insignificant. Our neighbors witnessed far more explosive and consistent growth across the board; as a matter of fact, we were the only major Asian economy to experience such limited growth, in reality decline in real terms. Marcos squandered our economic dynamism and turned us into a cesspool of inequality and a country undone by poverty. Thailand’s GDP per capita grew from $345 (1962) to $760 (1986) . Taiwan’s expanded from $505 to $3,790 over the same period, while South Korea saw phenomenal growth from $330 to $2,345. Marcos squandered our economic dynamism and turned us into a cesspool of inequality and a country undone by poverty. From the same source, as above, our debt by 1986 was $27.2 billion. Compared to the countries above, Thailand’s was $18.7 billion, Taiwan’s $12.7 billion, and South Korea was $54.5 billion. However, debt-to-GDP was: 0.90 for the Philippines, 0.47 for Thailand, 0.17 for Taiwan, and 0.56 for South Korea. Finally, it is worthwhile discussing poverty briefly. In 1965, national poverty incidence was rated at 41%, by 1971 it was 43.8%, and in 1975 it was 51.5%. 1985 estimates were 58.9%. In 1983, Mangahas estimated poverty incidence at around 55% . If that is the Golden Age to which the Marcoses and their loyalists wish to return us, then the historical denialism runs deeper than originally thought. This is the second of a three-part series outlining our contemporary remembrance of Martial Law, released to mark the 44th anniversary of its declaration. The first in the series, "Why has Marcos' propaganda lived on?" examines the effects of Martial Law denialism, perhaps best manifested in the Marcos clan's continued rise in political power. The close of this series will be released tomorrow. “Socio-economic failure, national fragmentation, civic inaction and indifference can be traced to the Filipinos’ lack of consciousness for Philippine history and culture, the core of national identity. While the Aquino government may not have bequeathed substantial subsidy for culture, it has provided five years of freedom. 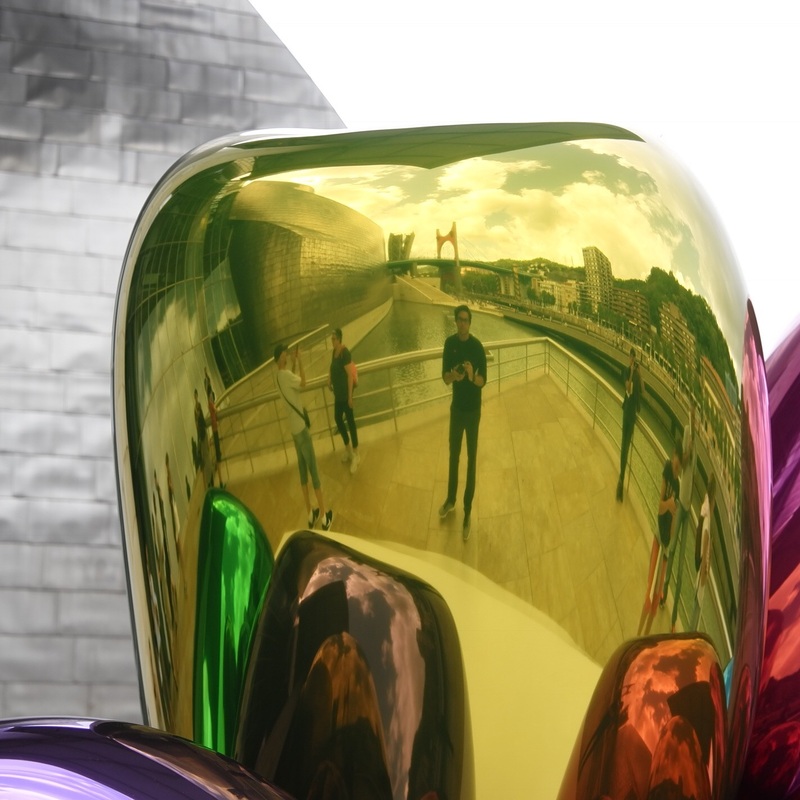 Artists and cultural managers no longer need fear imprisonment for criticizing or differing with the government. People Power and Aquino’s government have assured the right to have an opinion and make it known.” – Felice Sta. Maria, November 17, 1991. All numbers drawn from Alfred McCoy’s article, Dark Legacy: Human Rights Under the Marcos Regime. Side note: Of course, Ramos went on to become President of the Philippines. However, relatively unremarked in evaluating his presidency is Ramos’s complicity in upholding the impunity that occurred during Martial Law, and by his hand. He moved to offer absolute amnesty of torturers, many of them were his men. He raised instruments of impunity to high positions within his government. Ramos even went so far as to stymy the awarding of sequestered Swiss accounts owned by the Marcos family to human rights victims. It was only recently, under the Aquino administration, that finally Marcos human rights victims were awarded any compensation. “Over the longer term, however, the regime’s reliance on this police power for covert control harbored a fatal contradiction. Along with his imposition of order Marcos created constabulatory antisubversion squads, arming them with both formal decrees and informal impunity to suppress pro-democracy dissidents. After five years of ‘constitutional authoritarianism,’ Marcos’s security squads shifted from formal mass arrests to extrajudicial operations. At his [Marcos] regime’s celebrated ‘discipline’ degenerated into systemic state terror and conspicuous corruption, citizens sense the failure of their Faustian bargain with dictatorship, swapping democracy for stability, and slowly withdrew their support. Marcos’s legitimacy faded, opposition grew, and in the end his massive police and military apparatus retreated before a million outraged citizens massed on Manila’s streets. Law and order were central to the regime’s early acceptance, but this legitimacy was undermined over time by the same police apparatus that had been used to impose order.” pg. 397-398, “Policing America’s Empire” by Alfred W. McCoy. This darkness is not just a shadow, but a purposeful continuing obscuration of what occurred, aided and abetted by the Marcos family. The sole purpose of the Marcos family political ambitions, from the lips of Imelda Marcos and Bongbong Marcos, is to redeem their family and resurrect their version of history. Each vote for a Marcos is seen by them as another step towards redemption. 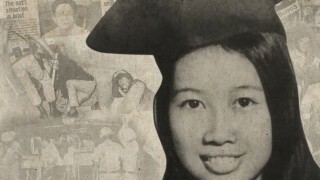 “This is part of the family’s plan to change history and make sure that the public, particularly the new generation of Filipinos, will not know about what transpired in the past,” said political analyst Ramon Casiple of the Institute for Political and Electoral Reform in Manila,” quoted in Al Jazeera’s “Philippines hunts for Marcos’ plundered art”. Data pulled from Rappler’s infographic: From Marcos to Aquino: The Cost of War in Mindanao. “We practically own everything in the Philippines—from electricity, telecommunications, airline, banking, beer and tobacco, newspaper publishing, television stations, shipping, oil and mining, hotels and beach resorts, down to coconut milling, small farms, real estate and insurance,” said Imelda Marcos, talking to the Inquirer in 1998 while she disclosed her plan to file an intervention suit against the cronies of her husband,” from “Regime of Marcoses, cronies, and kleptocracy” by Ana Roa, Philippine Inquirer. “The issue came to the fore again late last year, when Mrs Marcos’ former aide, Vilma Bautista, appeared in a New York court charged with illegally selling a Monet painting,” quote from “What happened to the Marcos fortune?” by Kate McGeown. I will just discuss one example of the wayward misguided priorities of Marcos infrastructure projects in this footnote. One of the key projects noted in defending Marcos are his ‘health’ initiatives, namely the Philippine Heart Center for Asia, the Kidney Foundation of the Philippines, and the Lung Center of the Philippines. Combined these three projects cost the Philippine government $229 million in subsidies. The total Philippine government funding for primary care, at that time was $45 million (Boyce). Imagine how many poor and impoverished Filipinos could have been saved, how far the infant mortality rate could have dropped or malnutrition addressed, if that $229 million was funneled into broader healthcare initiatives. The focus of the Philippine government on providing healthcare for the elite, at the cost of the poor, aptly demonstrates their preferences and loyalties. Source: “The Political Economy of Growth and Impoverishment in the Marcos Era” by James K. Boyce. Boyce, in the book cited above, has a long involved discussion of poverty ratings and the various idiosyncratic methods utilized for estimating poverty. The discussion takes place from pages 45 to 50. His conclusion though, is that poverty exploded during the Marcos regime: “But there can be little doubt that many poor families experienced drastic declines in real income,” pg. 53. Nik Skalomenos de Ynchausti splits his time between the business world and the non-profit world. When he has the opportunity to write, he focuses on the intersection between Philippine politics, culture, history, and identity. Why has Marcos' propaganda lived on?